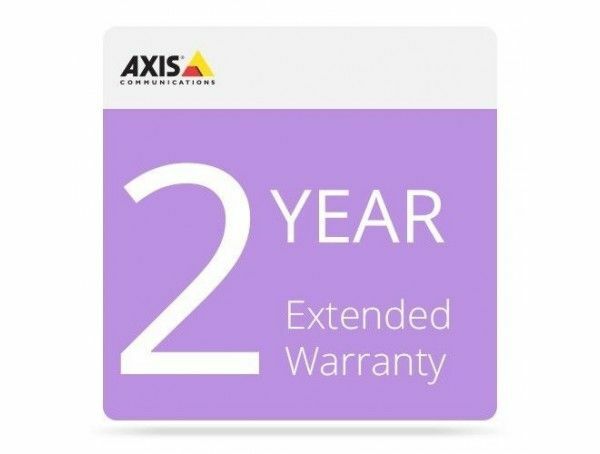 2 years extension of the warranty period Note 1: Maximum warranty on selected Axis products is 5 years including extended warranty. No possibility to extend total warranty beyond 5 years. Note 2: Extended warranty activation is done in four steps: 1 – create / select site in MyInventory (www.axis.com/reg/myinventory), 2- add products, 3 – redeem code, 4 – register warranty. 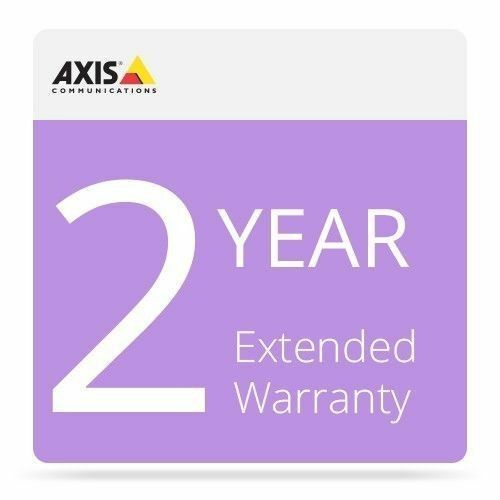 Further info at: https://www.axis.com/support/warranty-and-rma/extended-warranty Note 3: The warranty code must be redeemed within 6 months after purchase (=code delivery). After that the code will be voided. Note 4: Extended warranty must be registered within 6 months from product purchase. After that the registration is locked. Note 5: Extended Warranty is non-cancellable, non-changeable and non-returnable. Note 6: Extended warranty is issued as an e-license.